Blue crab lovers tie on those bibs. Finding and affording local crabs should be easier this summer, according to a survey by the Maryland Department of Natural Resources (DNR). 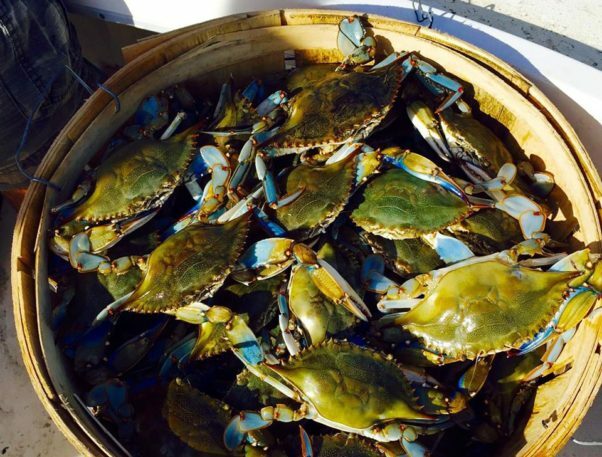 Blue crab season started April 1 and runs through Dec. 15. The annual winter dredge survey, conducted by DNR and the Virginia Institute of Marine Science since 1990, is the primary assessment of the Chesapeake Bay’s blue crab population. In the survey, biologists use dredge equipment to capture, measure, record and release blue crabs at 1,500 sites throughout the bay from December through March. Crabs tend to bury in the mud over the cold winter months, which makes it possible for scientists to develop accurate estimates of the number of crabs. There are 553 million blue crabs in the Chesapeake Bay this year, according to DNR’s 2016 Blue Crab Winter Dredge Survey. That is up 35 percent from last year and is the fourth highest level in two decades, according to state officials. It comes on top of a 38 percent increase in blue crabs in the bay last year. Crabs are typically at their most expensive this time of year because so many are still hibernating in mud. Last April, Maryland Crabs Delivered of Catonsville, Md., sold its first harvests for as much as $275 per bushel for its heaviest male crabs. 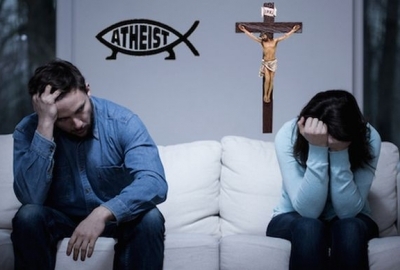 This month, they are offering them for $195. Harvests are usually light until May, but crabbers from Maryland Crabs Delivered caught 40 bushels in two days in the Chincoteague Bay. They are hoping for strong harvests in Kent Narrows and the Chester River by next month. 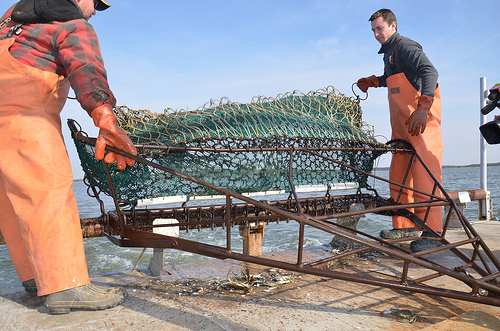 Other crabbers in the lower Chesapeake Bay have seen April harvests at a level they only get about once a decade. Soft-shell crabs are only on area menus for a short time, and fans know to snap them up while they can. 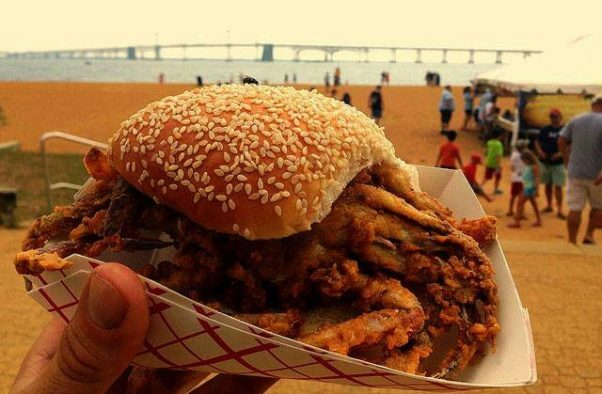 Area restaurants currently serving soft-shell crabs include 701 Restaurant, 701 Pennsylvania Ave. NW; Black’s Bar & Kitchen, 7750 Woodmont Ave., Bethesda; BlackSalt, 4883 MacArthur Blvd. NW; Blue Duck Tavern1201 24th St. NW; Del Campo, 777 I St. NW; Equinox, 818 Connecticut Ave. NW; Garrison, 524 Eighth St. 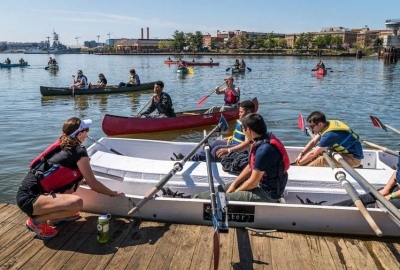 SE; Grillfish, 1200 New Hampshire Ave. NW; Iron Gate, 1734 N St. NW; Kaz Sushi Bistro, 1915 I St. NW; Masa 14, 1825 14th St. NW; McCormick & Schmick, 1652 K St. NW and in National Harbor; NoPa Kitchen + Bar, 800 F St. NW; PassionFish, 11960 Democracy Dr., Reston; Provision No. 14, 2100 14th St. NW; Sushiko, 5455 Wisconsin Ave., Chevy Chase; The Oval Room, 800 Connecticut Ave. NW; The Palm, 1225 19th St. NW, have all have had the delicacy this month. However, since the female crab only molts for 12 hours, availability is limited day-to-day, so it is best to call ahead to check availability. Surveyors saw improvements in all age groups of male and female crabs. The spawning female stock nearly doubled from 101 to 194 million and the adult male stock more than doubled from 44 to 91 million – the second highest levels since 1995. The number of spawning-age female crabs is still below the 215 million target, but above the minimum threshold set in 2011. The number of juvenile crabs increased slightly from 269 million to 271 million, which is just above the 27-year average. Still, members of the seafood industry are optimistic about the season ahead. Several said they have been encouraged based on early hauls since the season opened. The 2015 bay-wide crab harvest was up 42 percent from 2014 to 50 million pounds and remained at sustainable levels for the eighth consecutive year. That combined with increased abundance means that a slight liberalization of harvest limits for female crabs may be coming this summer. Blazer said experts and fishers will discuss the survey’s results to determine if any changes, such as extending the season or increasing daily bushel limits, should be made.